The Skypark Link began operations in May 2018 as a limited express train service in Kuala Lumpur. As the second airport rail link service, the Skypark Link route map transports passengers from KL Sentral to the Subang Airport. Commissioned by KTMB, the service currently operates on the Port Klang Line of the KTM Komuter operation line. However, the tracks diverge after the Subang Jaya station with a dedicated set of tracks heading towards Subang Airport. 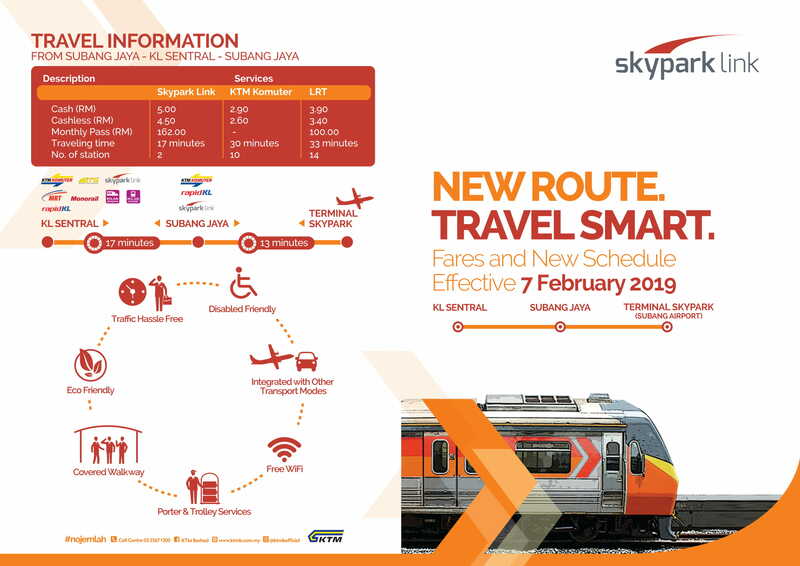 The Skypark Link route map currently includes a total of 3 main stations which are KL Sentral, Subang Jaya and Terminal Skypark with two reserve stations along the tracks.